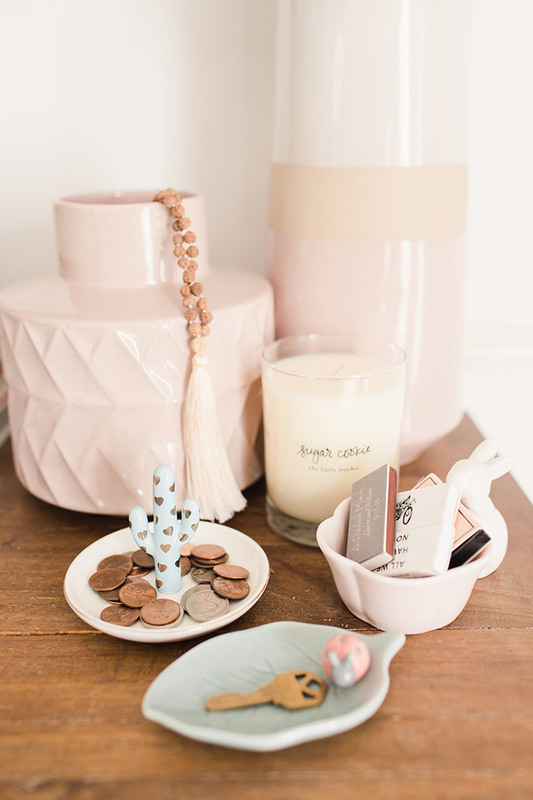 Trinket trays will always have a special place in my heart… and on my vanity, my nightstand, in my closet, and pretty much any other place I can think to put one. I just might have a slight obsession, but when they’re this cute, who could blame me? The best part of these tiny trays is how versatile they are, so I wanted to explore some outside-the-box uses that can transform the way you organize your odds and ends. 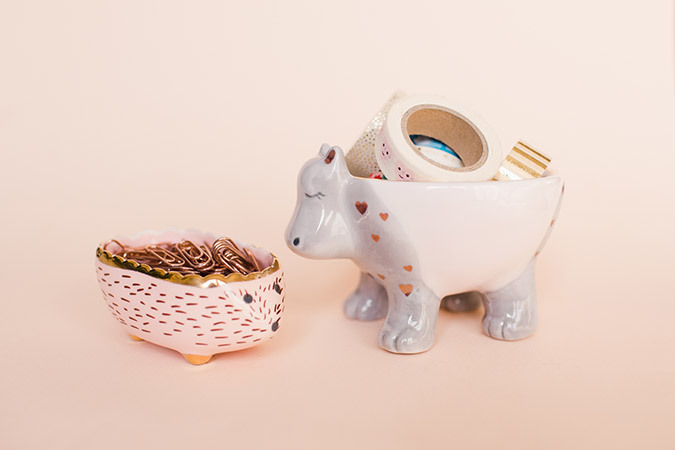 After all, trinket trays don’t have to be just for jewelry! Keep reading to see how I organize my essentials…. There’s nothing worse than a messy desk. If you’re anything like me, you might find yourself with tons of extra office supplies and no place to store them. (I’m talking colorful paper clips, washi tape, thumb tacks, and anything else that usually comes in ugly plastic packaging.) 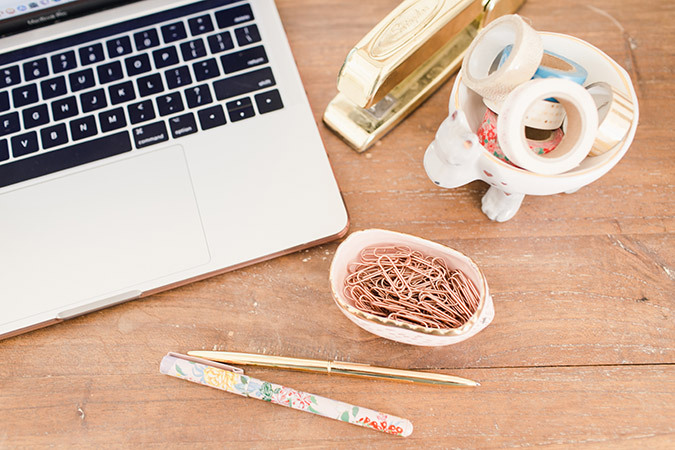 Simply store those items in one of these cute trays and your desk will never be the same. 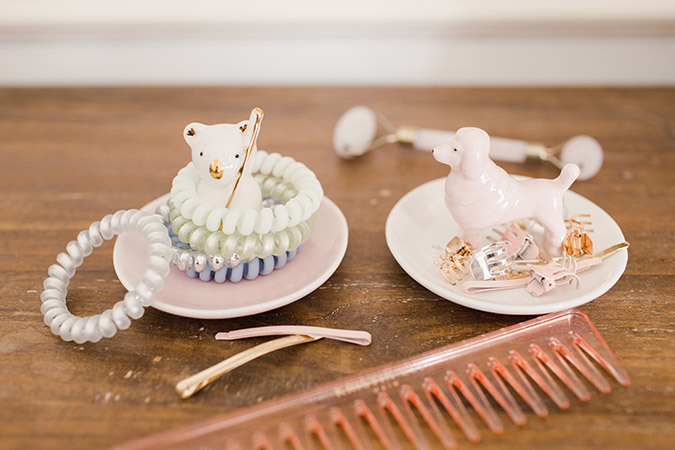 If it seems like all your hair ties disappear the second you take them out of your ponytail, a cute trinket tray like this koala bear might be the answer. 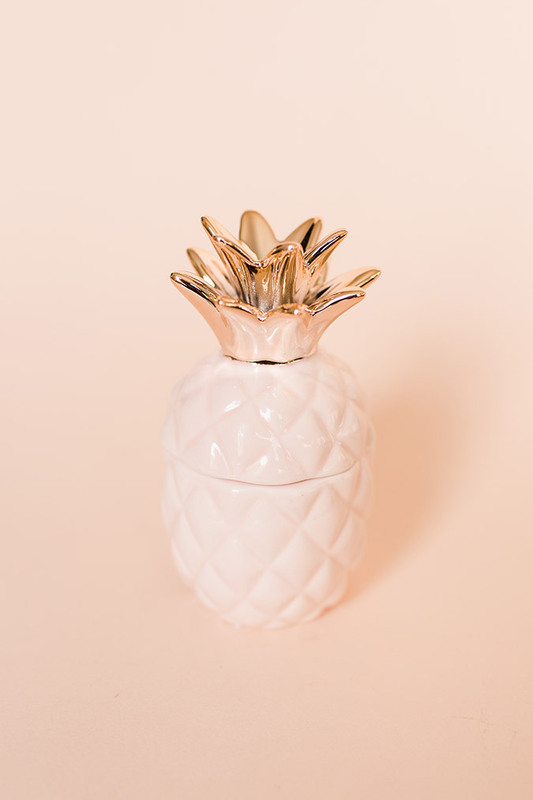 Not only will it spruce up your vanity, but it’s the perfect way to keep all your hair accessories in one place. Add a second tray and you can even organize them by type. Before you let your junk drawer get out of hand, try putting a few pretty trays in areas of the house where you tend to collect odds and ends. 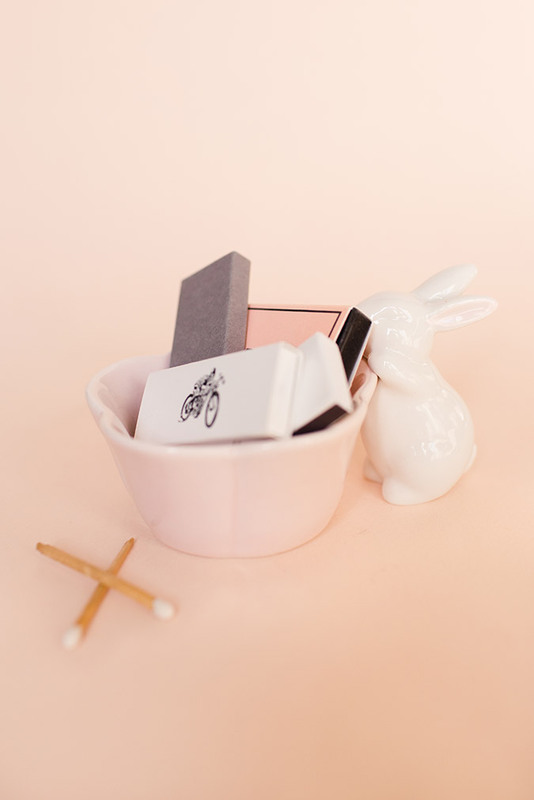 For instance, a tiny cactus dish on a nightstand makes the perfect home for loose change at the end of the day, while a bunny bowl might hold matchbooks for your candle collection. Most importantly, keep your keys and other everyday essentials by the door so you’ll never face that last-minute scramble again. 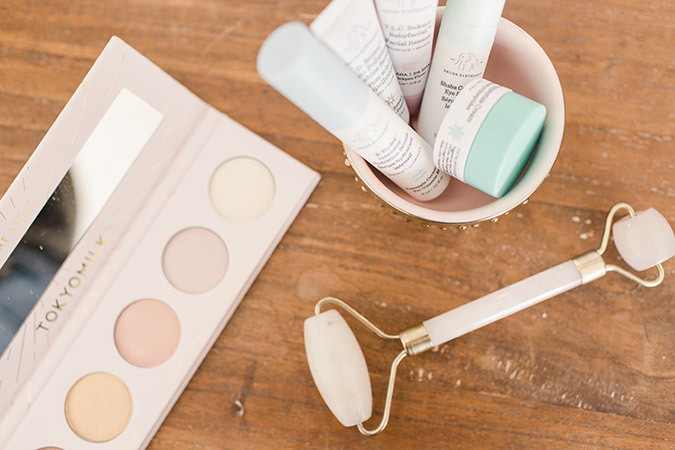 Collecting trial sized beauty products is great for product testing, but it can clutter up your bathroom counter. Instead, try grouping the jars and bottles in a tray like this one. 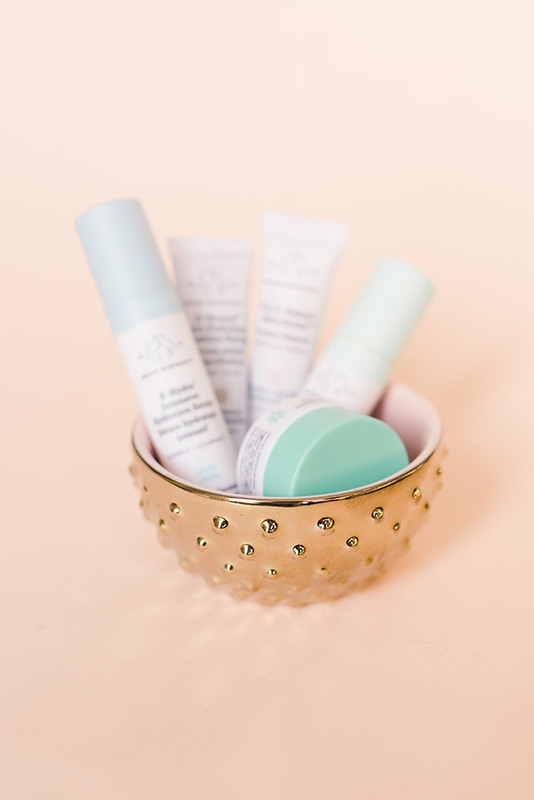 Not only will it keep the products out in the open, where you’re more likely to actually use them, but it will keep your makeup drawers a little more organized. 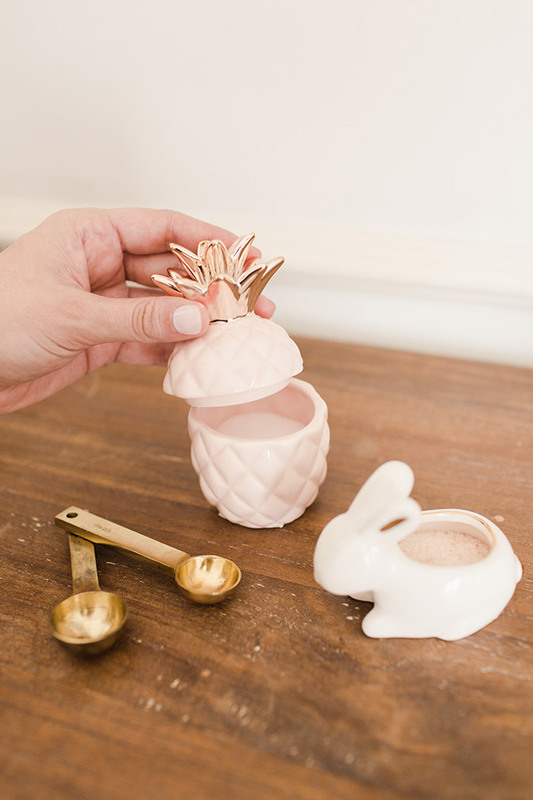 While these were designed to hold jewelry, many of my LC Lauren Conrad trinket dishes can double as kitchen storage. From sugar to salt, you can keep ingredients handy and make your countertops a whole lot cuter in the process. 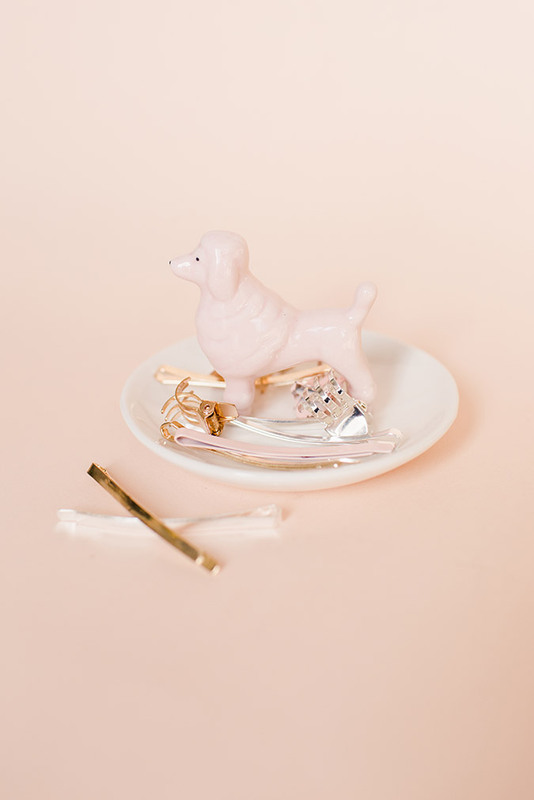 How will you use your trinket trays?